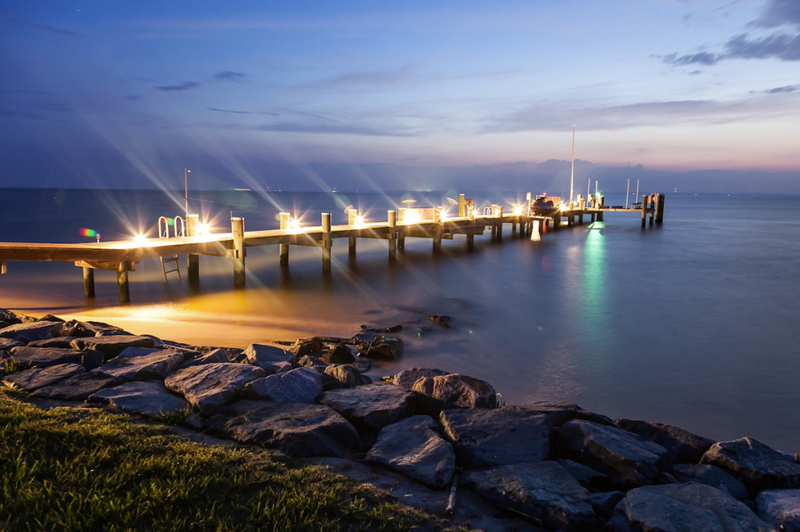 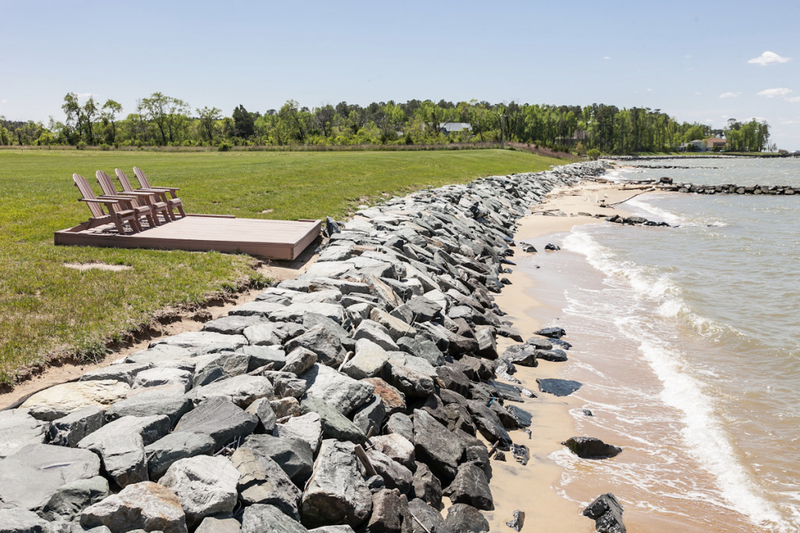 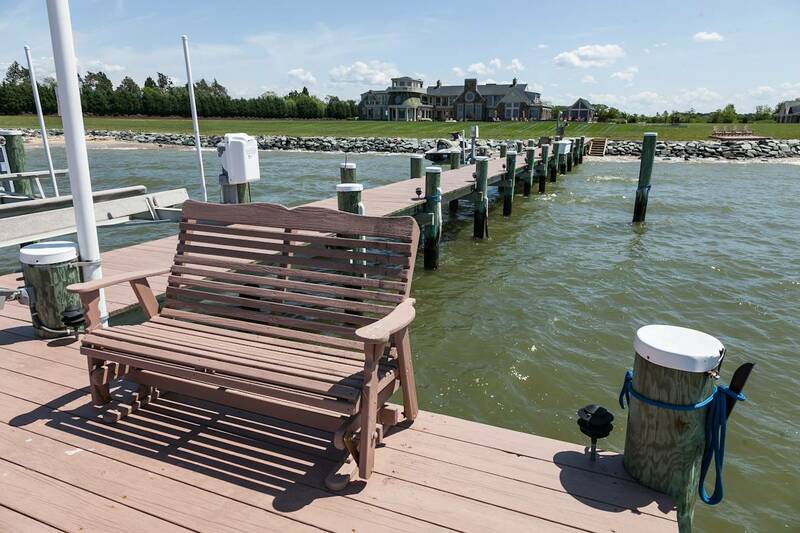 Sited on more than 29 acres on Chesapeake Bay, Conquest Manor—a gated, waterfront estate overlooking a thousand feet of shoreline—comes with its own private beach, plus a pier equipped with boat and jet ski lifts. 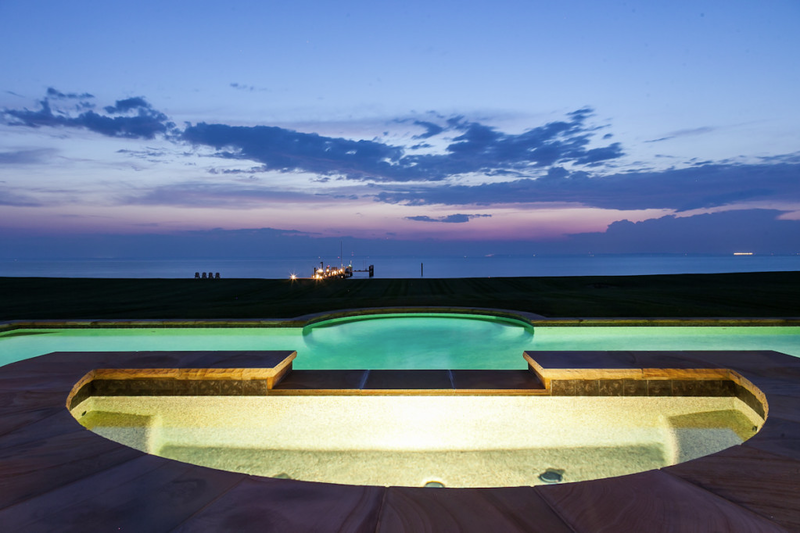 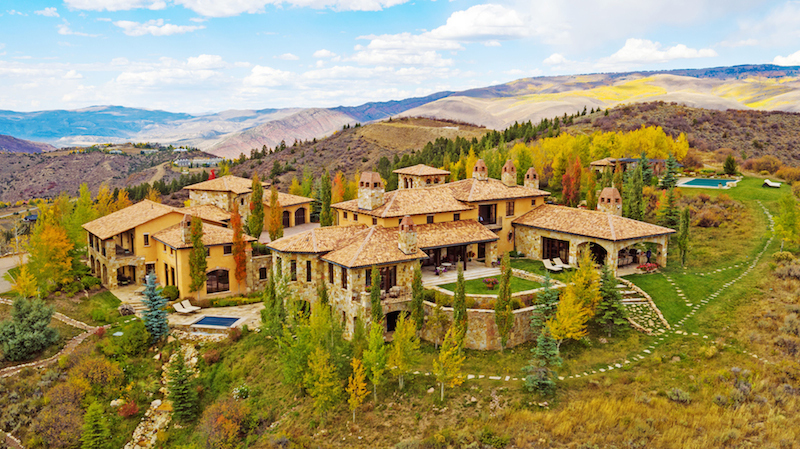 Previously listed for $6.9 million, the traditional residence is comprised of three structures: a 14,000-square-foot main house, a 6,200-square-foot pool house, and a 1,000-square-foot guest home with a car showroom. 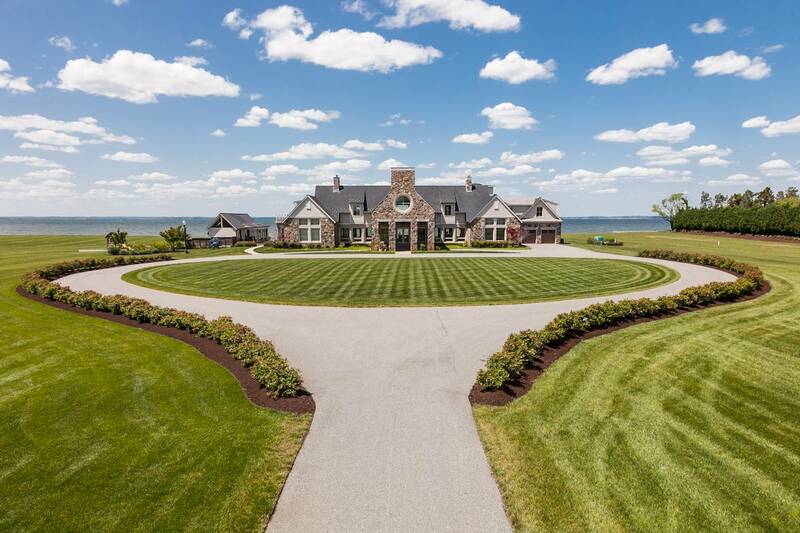 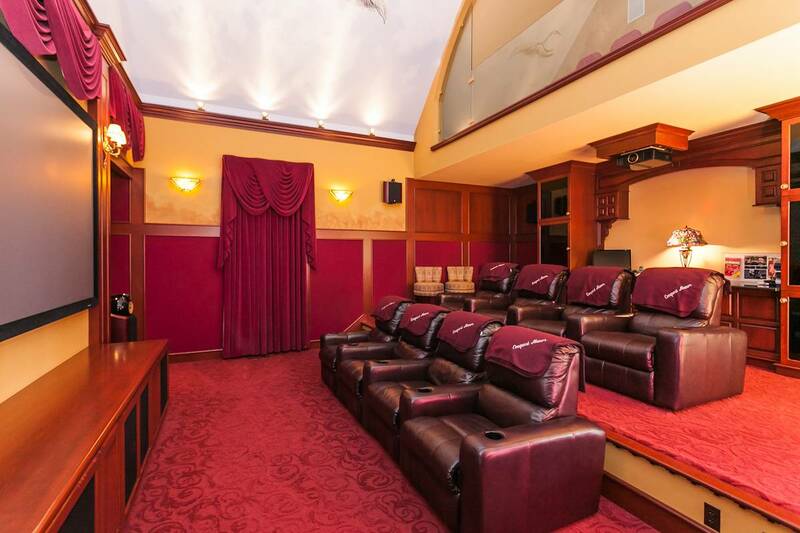 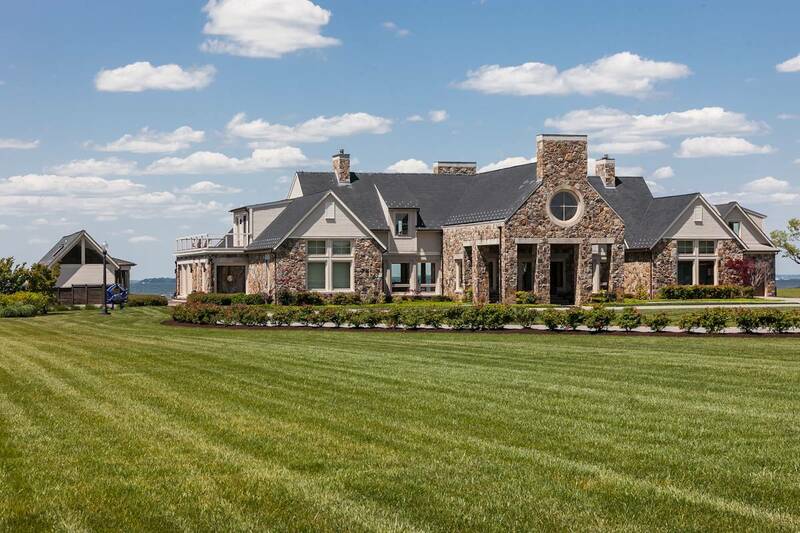 In total, the estate touts eight bedrooms and 11 baths. 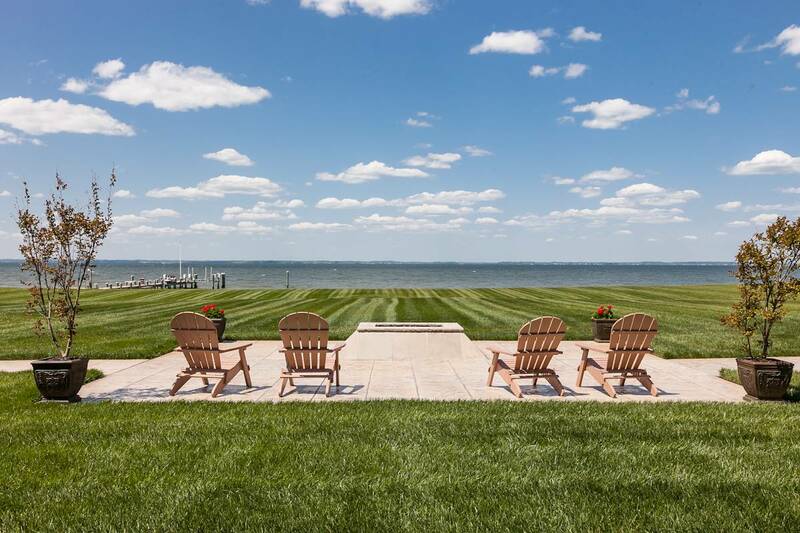 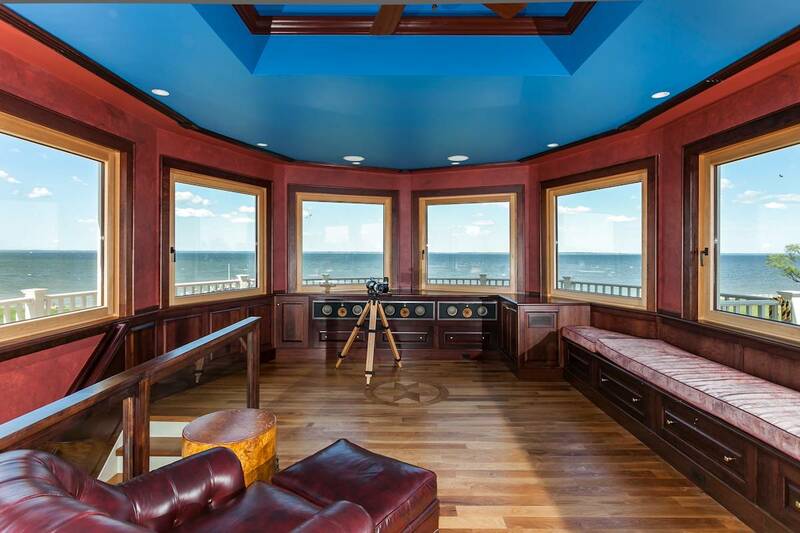 Located an hour away from Baltimore and Washington D.C. and two hours away from Philadelphia, the property—situated on the southern tip of Kent Island in Queen Anne’s County, an area easily accessible via the Chesapeake Bay Bridge—is outfitted with Brazilian walnut and porcelain floors and imported, custom-made German windows, not to mention an elevator. 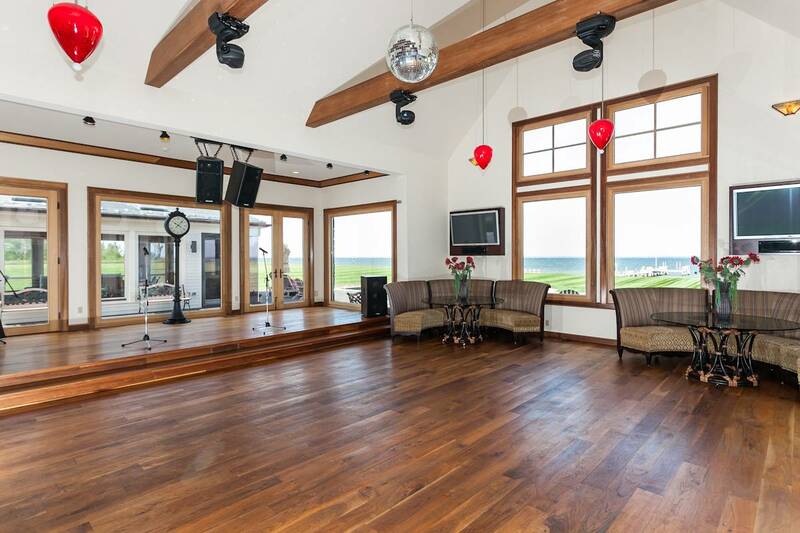 The “smart” home’s chief building houses a family room; multiple entertainment spaces including a two-level theater with balcony seating; an office; a game room with a pool table; an observatory with wraparound windows facing the Bay; a fully-equipped gym; and a 1,500-square-foot club room with a full bar, performance stage, and professional lighting system. 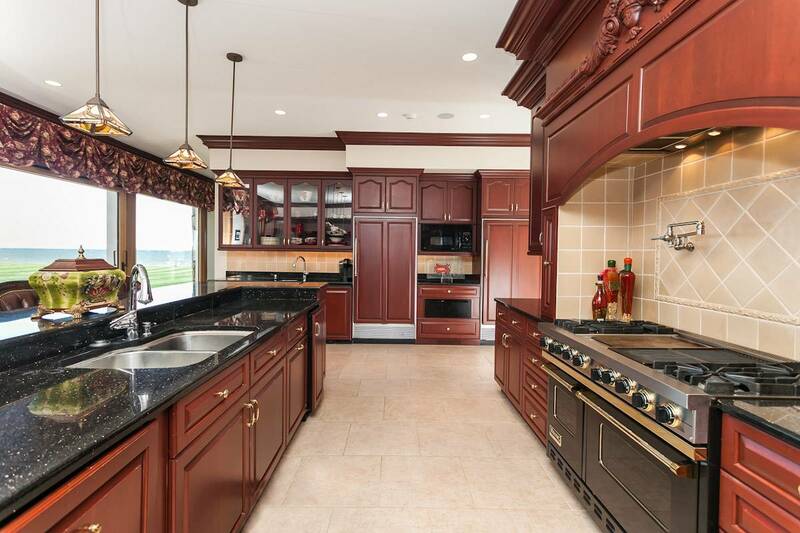 All of its five bedrooms have en suite baths, while its sizable gourmet kitchen features a cherry wood island and granite countertops, with enough bar room to seat six. 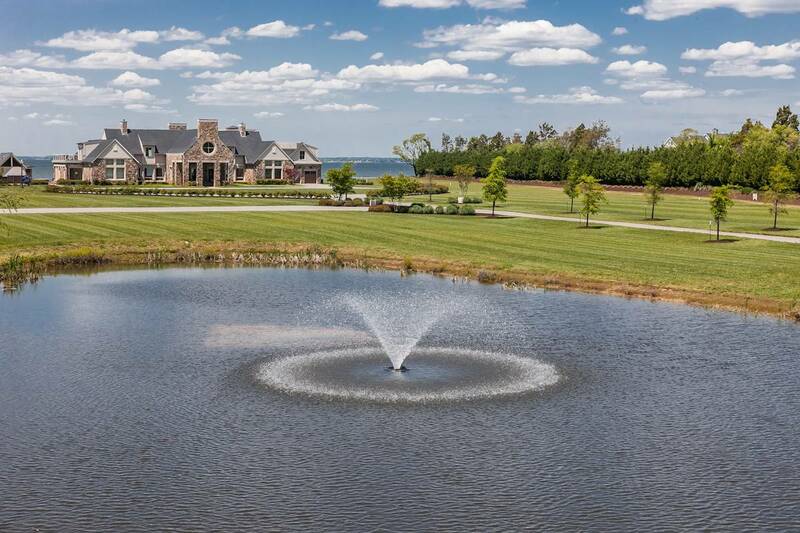 The estate’s manicured grounds also showcase a pool and a hot tub complete with a waterfall; a water fountain; two backyard fire pits; and a pond. 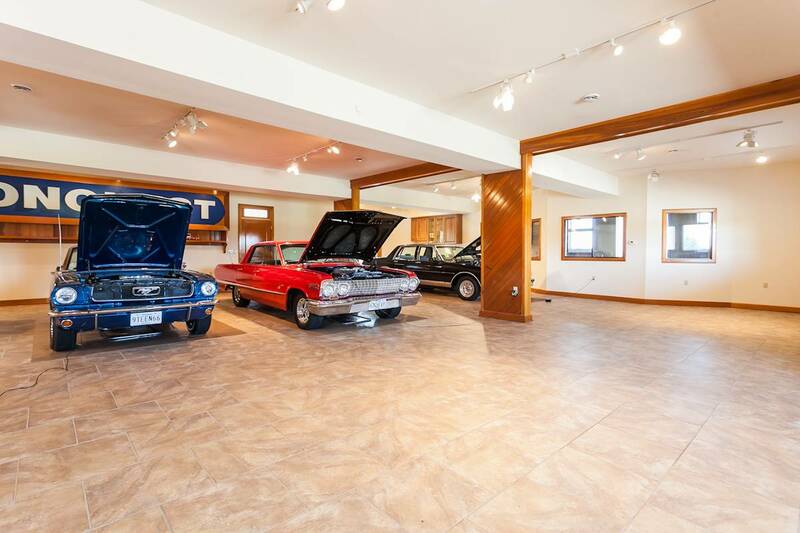 Scheduled to be auctioned off absolute on August 16th at 11am, the property—listed by DeCaro Luxury Real Estate Auctions—will be sold to the highest bidder onsite at 7402 Kent Point Road. 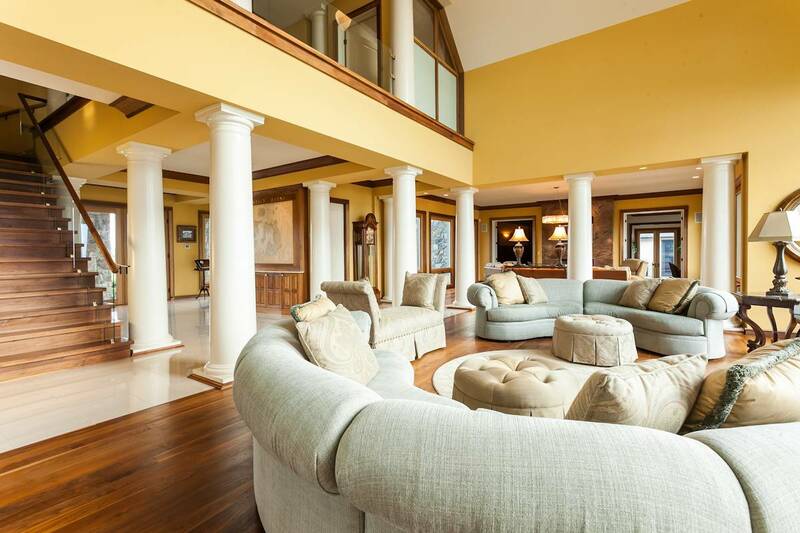 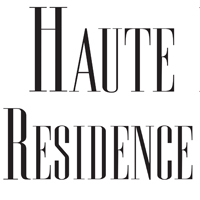 For more information about this House of the Week, click here.